Welcome to Lil' Acres Nursery! 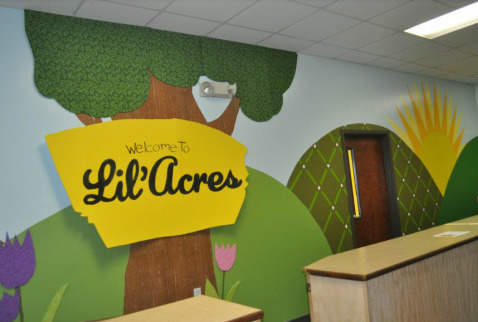 Lil Acres is the first step of Kids Ministry here at Charity. We believe our opportunity to influence, impact, and to shape a life begins here. It is our priority to provide a safe environment for parents to leave their children (Birth – 3 yrs.) with leaders who see their time with them as time to love and minister to them. Our purpose is two-fold; to give parents and the children the opportunity to Know Jesus as their Savior, Grow in their relationship with Him, Serve Jesus with their gifts and abilities, and to Go make disciples. Lil Acres Volunteer Staff, please click on the month below for the current schedule.